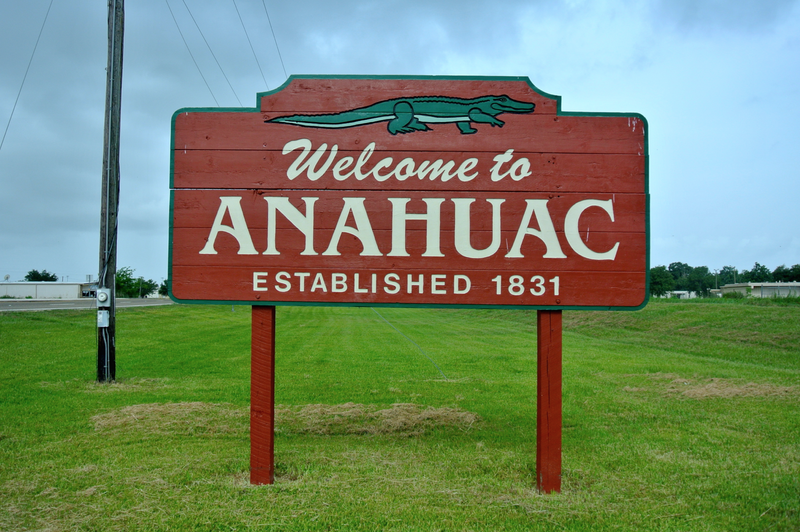 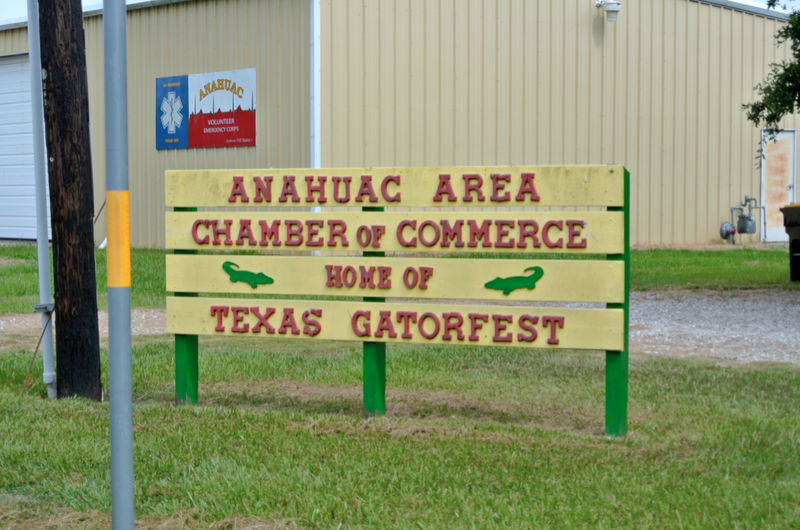 I was the guest of Anahuac and Chambers County on June 22, 2014. 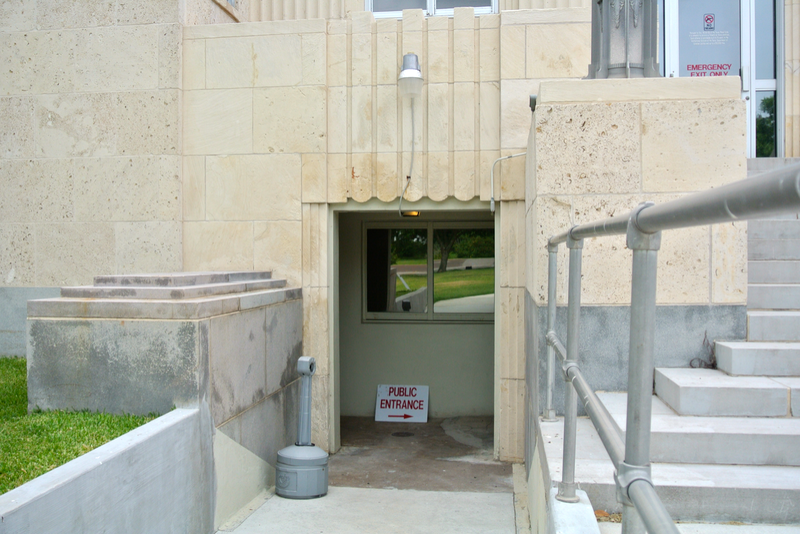 I’m unaware if the contractor of this building also served as the architect, or if the architect is simply known at all. 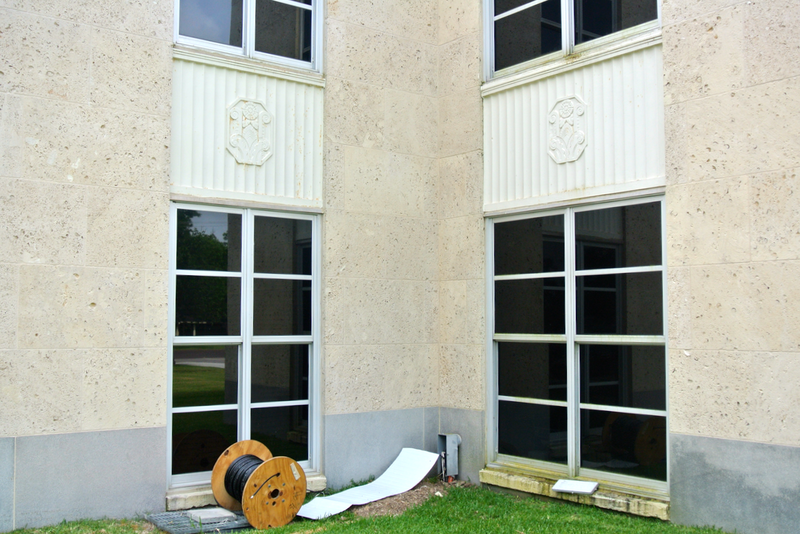 However, we can be sure that a man named August Baumbach was involved with this building in some capacity. 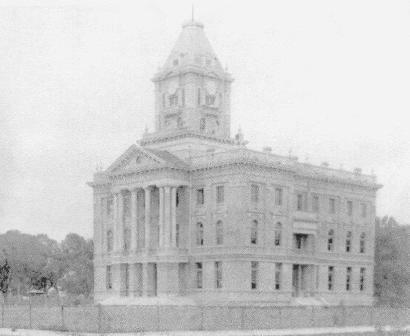 He constructed this building with Renaissance Revival characteristics from brick and stone. 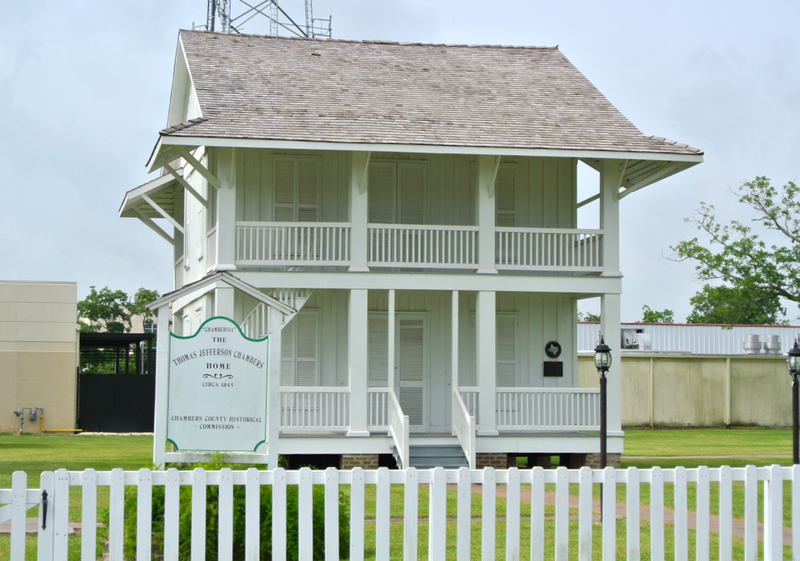 An adjacent jail was constructed in 1894 with a tower for gallows, but no hangings ever commenced in Chambers County. 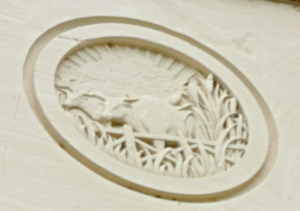 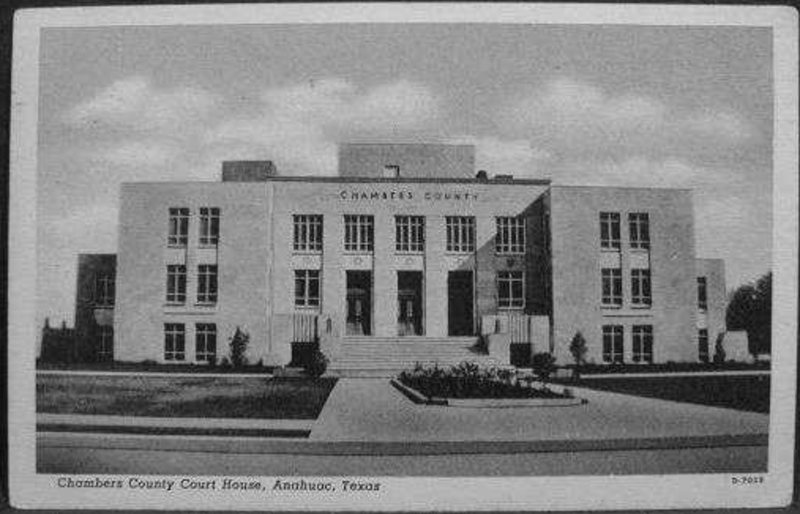 A local dispute over roaming livestock, known to history as the “County Seat Hog War”, moved the seat to Anahuac, and the 1886 courthouse become defunct. 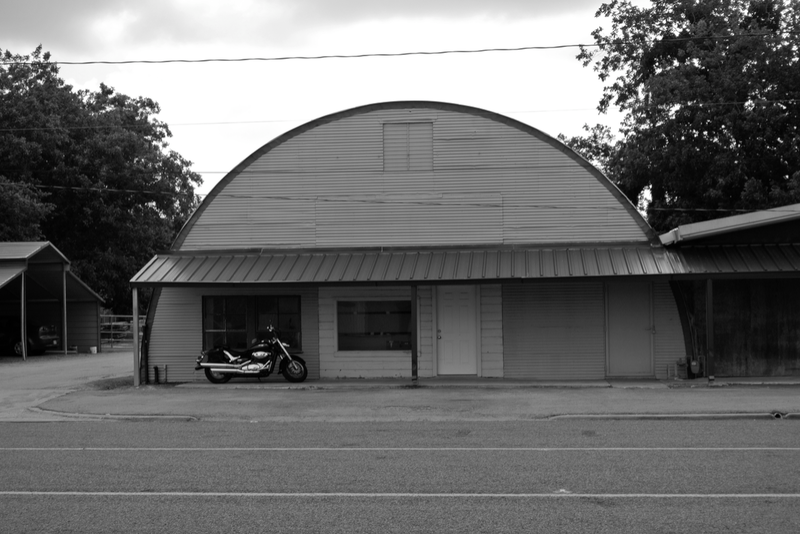 This building was designed by F.W. 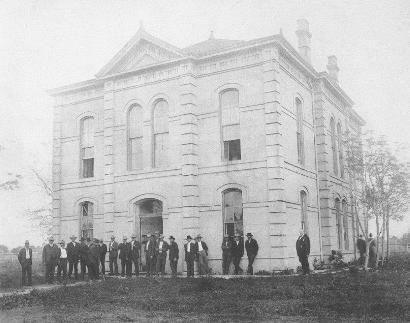 Steinmar and became the first courthouse in Anahuac. 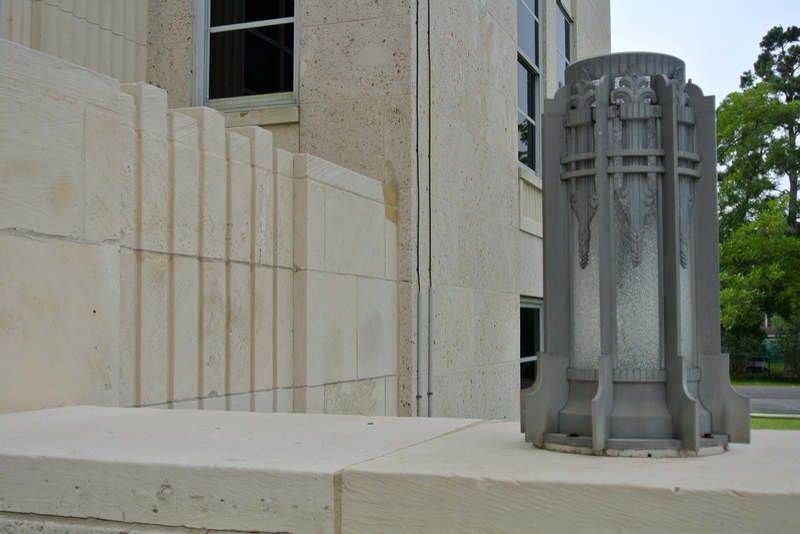 It was used until April 28, 1935 (on which date it burned). 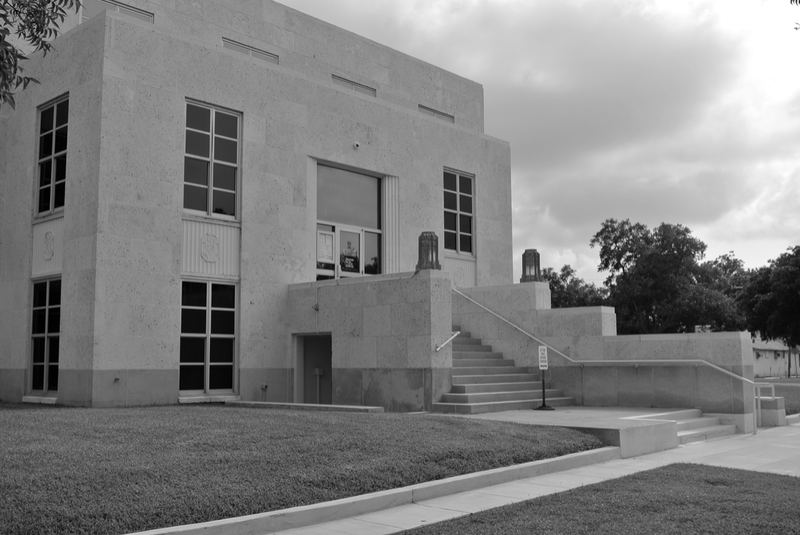 Built of shell-limestone, this Corneil G. Curtis-designed courthouse was constructed during the Great Depression with partial funding from the Works Progress Administration. 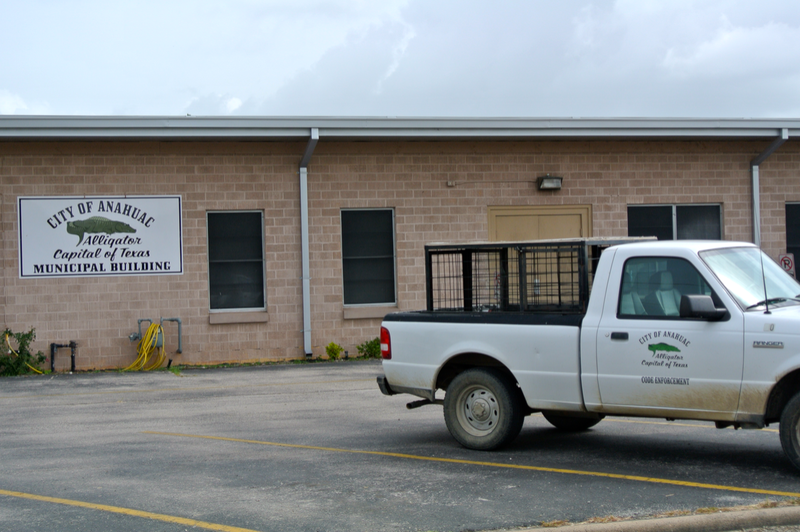 The building cost the county $276,000. 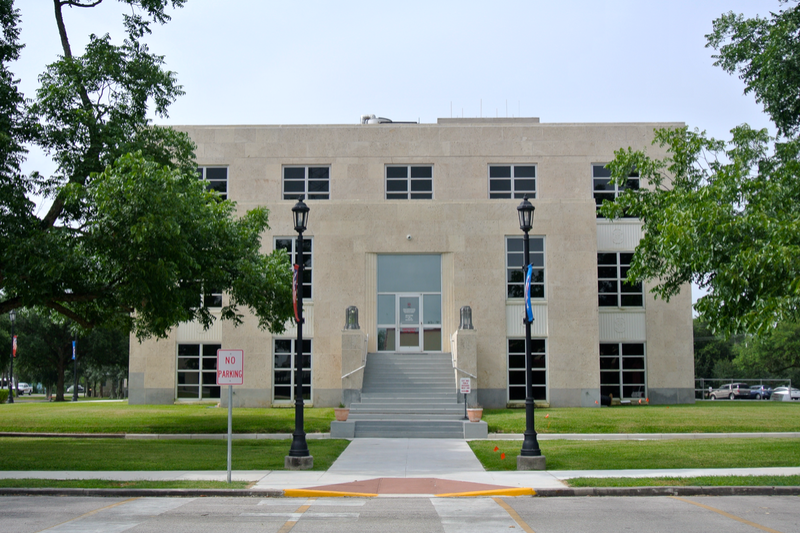 From 1936 to 1983, a portion of the third floor functioned as the Chambers County Jail. 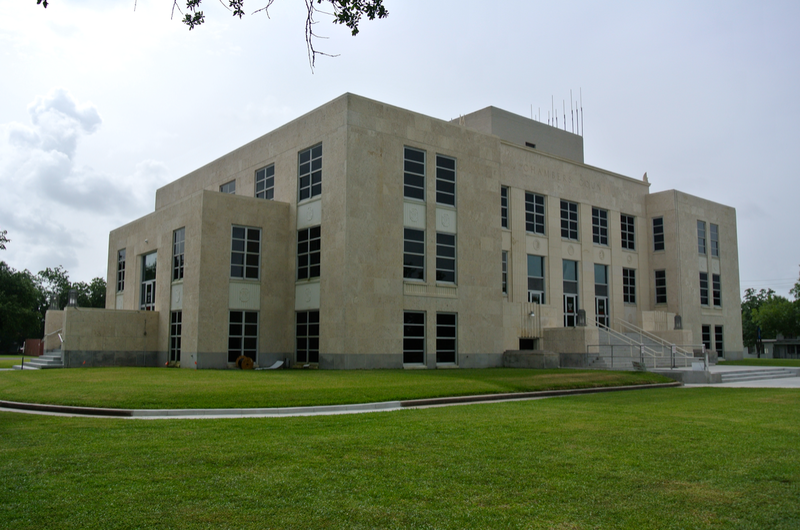 The main façade of the Chambers County Courthouse faces west towards Washington Avenue. 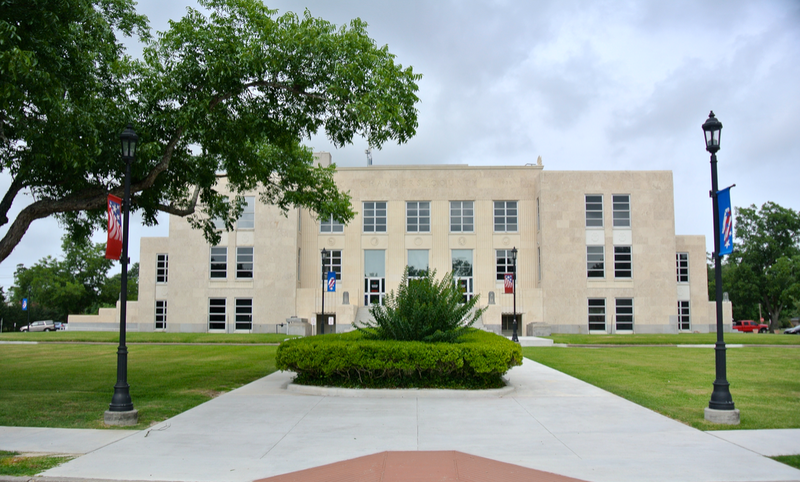 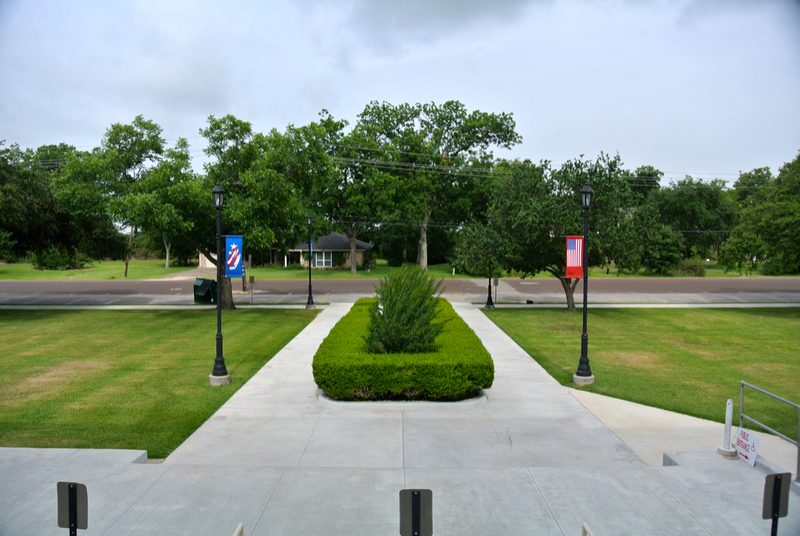 The view from the western doors looks upon Bolivar Avenue and the thin tree line separating the courthouse from the Anahuac Channel. 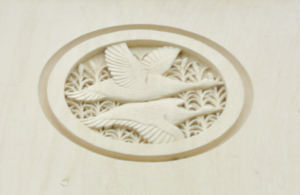 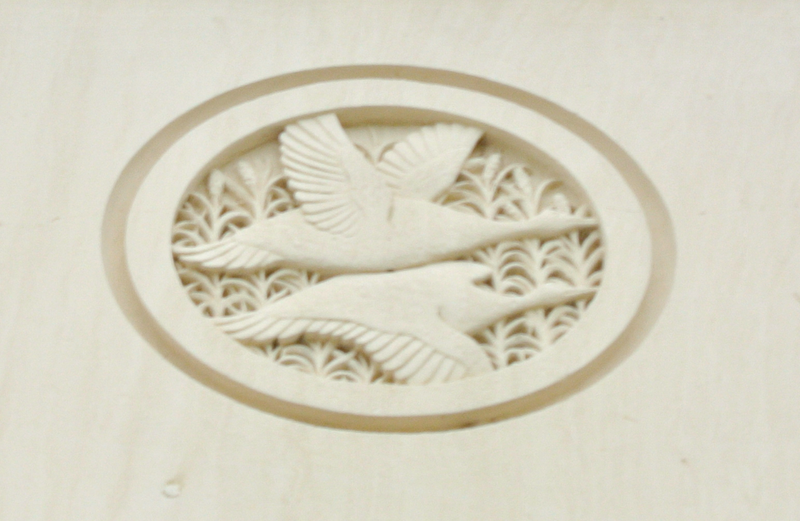 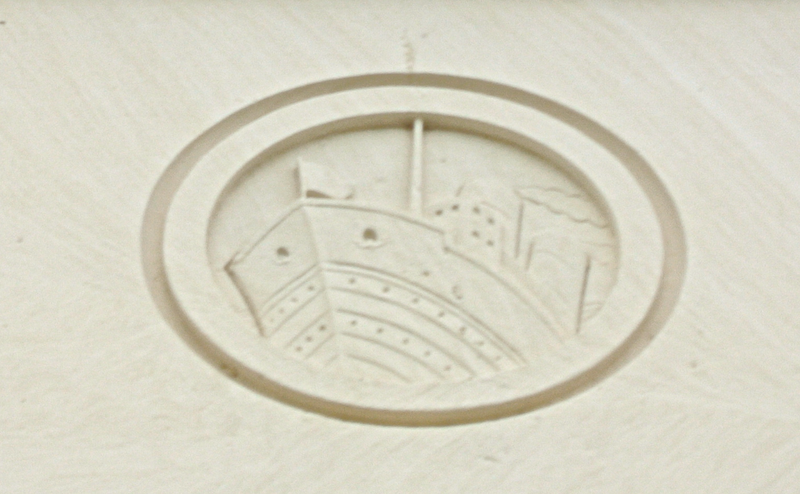 Five different engravings line both the western and eastern façades. 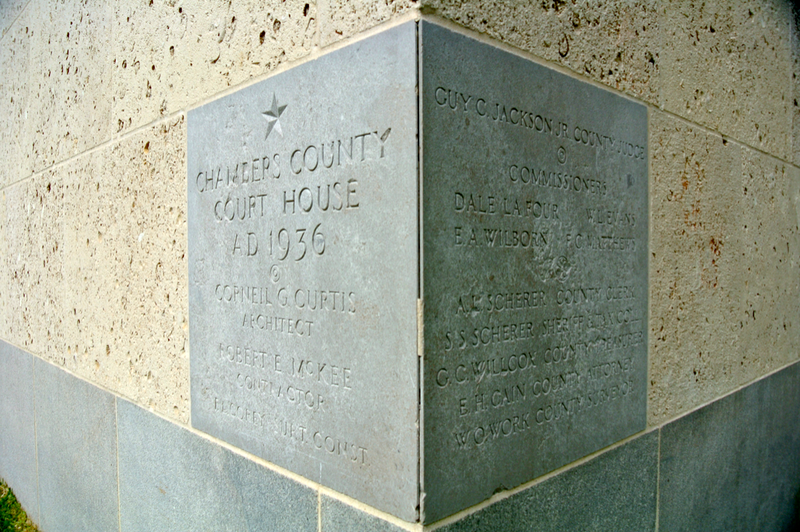 They each tell a story about the economy of Chambers County. 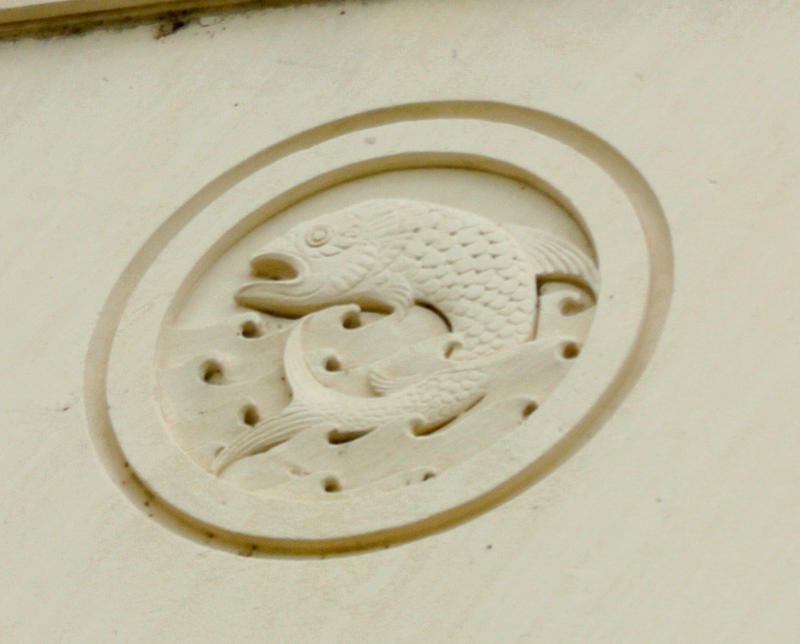 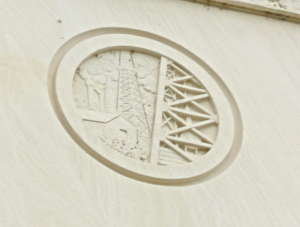 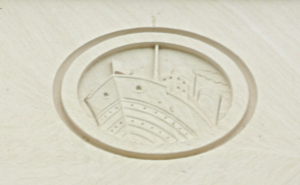 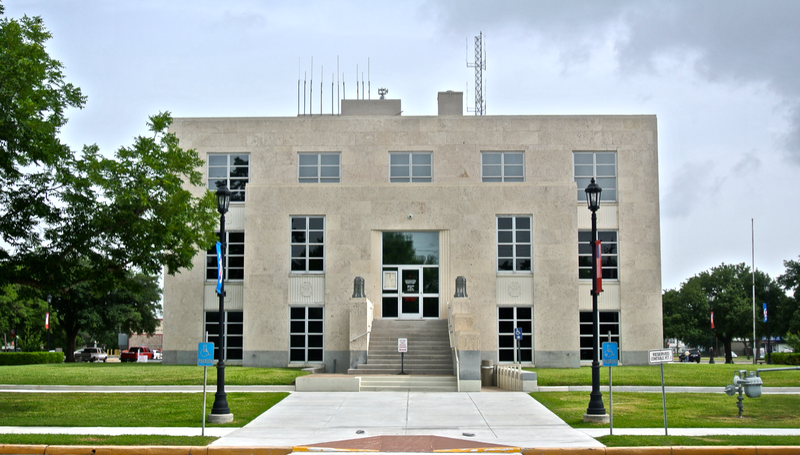 The shell-limestone is a reflection of the region this courthouse is located in.